Tenfab Design approached designer Paul Uhl to produce a business portfolio site built around the bold presentation of their custom flexible signage and fabrication. 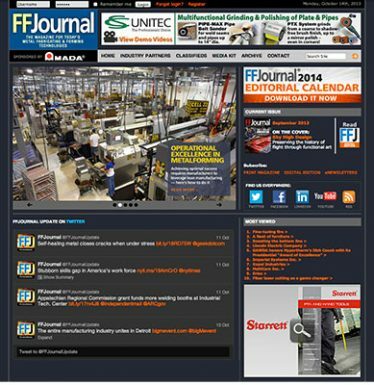 We deployed heavily customized gallery and content components to match the existing 2D designs. 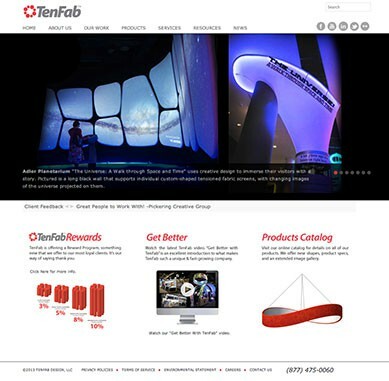 Tenfab Design marketing is able to manage their message directly with the maximum visual impact. 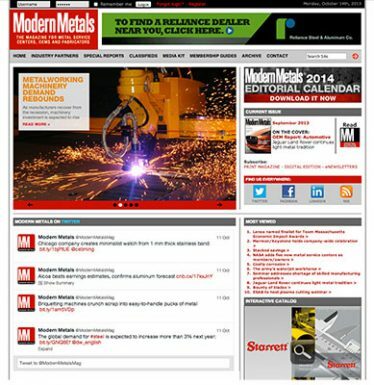 Trend Publishing of Chicago publishes two major trade magazines within the metals industry, FFJournal and Modern Metals Magazine. 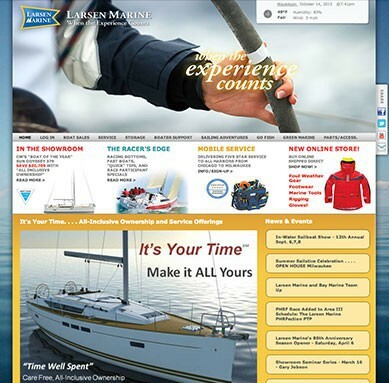 In 2010, while their editorial and design staff had created new, cutting edge identities for the print properties, their online presence lingered in the ’90’s within an antiquated MSAccess database-driven site which could be updated solely from a single, developer-installed laptop, the only point of access on the entire planet. Take your turn and forget working outside the office. With our specialization in translating print designs to the web, we worked directly with the Trend design staff to create a highly customized and modularized Joomla! install. We also preserved and imported legacy data, converting the MSAccess mdb files into Joomla! schema MySQL data. With the expansive user role customization of Joomla! and the support of state-of-the-art security components, we liberated Trend’s editorial staff to maximize their impact on the metals industry while preserving the impact of their unique brand image. 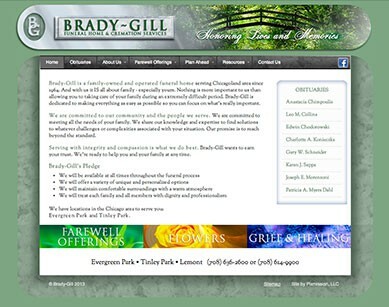 Brady-Gill, a well-known family business in the South-West suburbs of Chicago, is an early pioneer in providing extended online content in funeral planning and grief counseling. 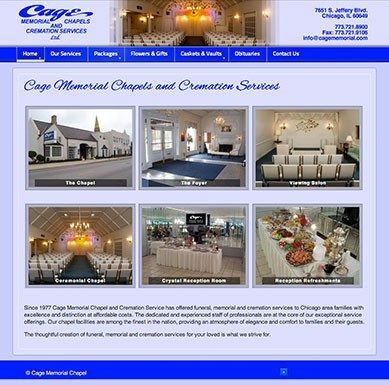 They found themselves in a situation with their subscription-based, industry-specific web hosting provider, as the funeral industry has been consolidating, having also become one of their primary competitors in the funeral market itself. They needed independence. 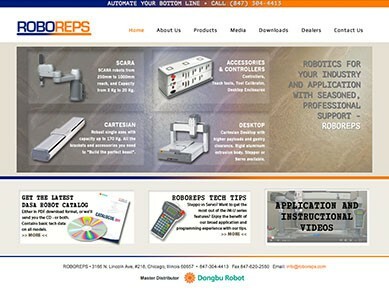 We worked with graphic designer Mitch McNeil to create a new Joomla! 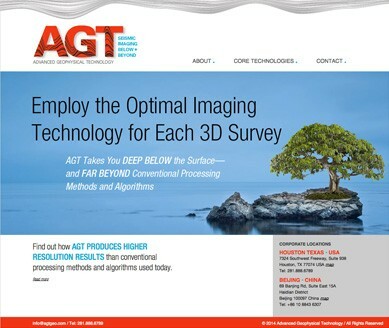 site wherein all content was directly owned and controlled by Brady-Gill. We pulled legacy Obituary and Guest Book data from the old system, preserving and importing the data into a new custom system built within Joomla!.